High energy prices and increased off-shore drilling standards have required domestic energy companies to look for new and innovative ways to drill for natural gas and oil. While experts have known for years that shale and rock deep inside the earth's surface house vast stores of natural gas and oil, they haven't always had effective ways to recover the natural resources. Since 2002, that's all changed. 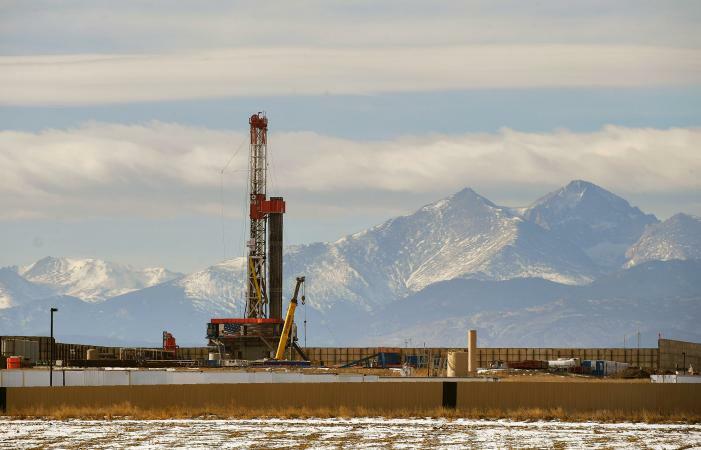 Improvements in technology have made hydraulic fracturing, or "fracking," a viable solution for energy production, and the result is a boom in fracking industry jobs. An energy company drills and cases a new oil well - this well is as much as 8,000 feet deep. After the well is drilled, a mixture of sand, water and additives is forced down the well under extremely high pressure. The pressure builds within the well and creates fissures in the shale. These fissures create additional space that makes it possible for natural gas and oil to flow out of the well. Hydraulic fracturing has actually been around since the 1940s but improvements in technology, fewer oil reserves closer to the earth's surface, and the recent need to develop innovative, domestic energy resources has brought fracking to the forefront of the energy debate. While many environmentalists are worried that fracking creates pollution and damages the environment, energy companies refute this claim, arguing that 99.5 percent of the solution introduced to the earth during fracking is simply water and sand. 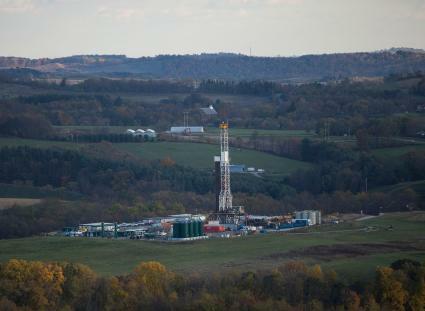 As energy companies rush to drill and build plants to access and refine the natural gas found in vast reserves in states like Ohio, North Dakota, West Virginia and Pennsylvania, job booms are taking place. In fact, according to Reuter's, as many as 600,000 jobs have already been created with another 209,000 expected by 2015. It's not just jobs in drilling that are being created - for every new job created in drilling, more than three are created in supplies and service. Williston, North Dakota is the perfect example of a town booming due to the hydraulic fracturing industry. As workers rush to take jobs in drilling, more jobs are created because houses need to be built to house the new workers; retail, food and entertainment boom to support the increased population. In Williston, almost every single store has a "hiring" sign hanging out front because their current workforce simply can't keep up with the new demand. Plus, construction and engineering jobs are equally in demand due to the increase in building. Most fracking jobs are positions in drilling and engineering. A few of the positions listed in fracturing on the Lewis Energy Group website include Field Supervisor, Treator, and Experienced Fracturing Equipment Operators. Interestingly, the Experienced Fracturing Equipment Operators don't actually have to have experience using fracturing equipment. In fact, it's only a preferred qualification that operators even have experience with an oil field service company. All that is required is a commercial driver's license, mechanical aptitude and a willingness to work long hours. Not all jobs are as easy to come by as the Equipment Operator positions. Treators and Supervisor positions require years of experience working in oil field operations and experience working with high pressure pumping equipment. Engineer positions require bachelor's degrees in mechanical or petroleum engineering and usually prefer individuals who have experience working in the field. Engineer technicians, building and environmental engineers and construction crews are also required to help build and develop manufacturing plants. Jobs in trucking also boom as the pipe, equipment and the drilled natural resources all have to be shipped to and from the drilling sites. There are some support positions available within the fracking industry - these individuals are charged with clerical duties, supply ordering, finance, accounting, human resources and so forth. These positions are hired based on traditional standards and qualifications. Once you've decided to pursue a position within the industry, you need to be prepared for some serious pros and cons. Many employees are expected to work long hours - sometimes as many as 70 or 80 hours per week - doing intensive labor. Depending on the location of the position, living arrangements may be scarce, so you may end up living in mobile homes or motels. In cities like Williston, North Dakota, where the economy changed practically overnight, most positions draw men, so the male to female ratio in these areas is extremely high and living arrangements for families are limited, at best. That said, energy companies are willing to pay a lot for quality labor. Even entry level labor positions can make some serious cash. Some companies offer a daily bonus on top of an hourly rate, plus overtime for any time worked over 40 hours. Do the math - even if you're making just $8.00 an hour (and most positions command a much higher wage than that), 70 hours of labor plus a $50.00 daily bonus will bring in more than $1,000 per week. Most companies also offer full benefits and may even pay for room and board for their employees. If you're willing to do the work and deal with the negatives, you could end up coming out pretty far ahead. Before making a decision to enter the hydraulic fracturing industry, make sure you do some research to fully understand the risks. Manufacturing and drilling positions can be dangerous, but aside from that, environmentalists are also calling for the national government to take a closer look at industry standards. If rules and regulations tighten up, the positions may also start to dry up.